Just as President Barack Obama admitted that the benefits of the NSA's spying programs "may be outweighed by the concerns people have over its potential abuse" during his year-end speech, fugitive Edward Snowden decided to stir the pot a little more, releasing documents that showed that British and American intelligence agencies have previously targeted Unicef, a European Union commissioner, and even the Israeli Prime Minister, for surveillance. But at this point, no one is surprised — the targeted ex-Israeli PM even went so far as to call America's target "unimpressive." 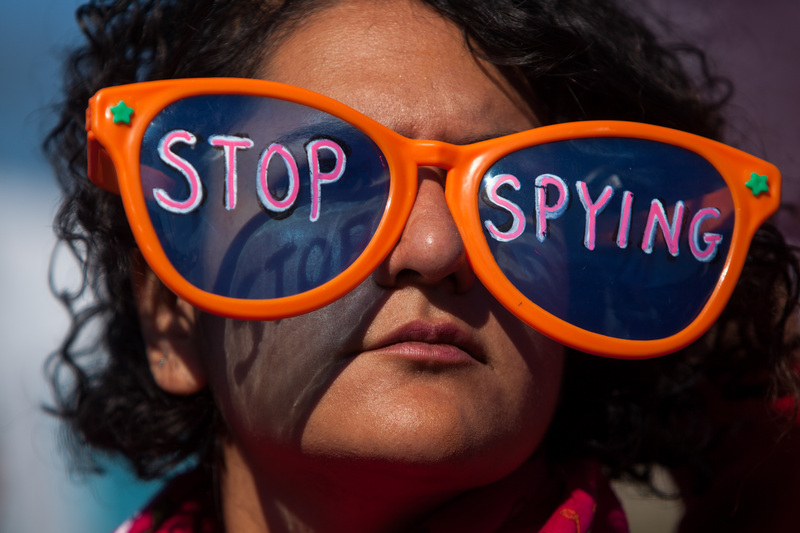 So now the NSA's spying isn't just wrong, it's also boring. The recent top-secret papers, published in the Guardian, revealed that in 2009, both the National Security Agency and its British equivalent, the GCHQ, had over a 1,000 surveillance targets, including the email accounts of Israeli prime minister Ehud Olmert and Isreali ex-defense minister Ehud Barak. They also targeted the United Nations development program, the UN's children's charity Unicef, and the head of the Economic Community of West African States. Although these latest revelations provoked a stern (if tired-sounding) reaction from the European Commission — which stated Friday that "this piece of news follows a series of other revelations which, as we clearly stated in the past, if proven true, are unacceptable and deserve our strongest condemnation" — so far, unlike the Merkel kerfuffle, there has been no real strain in U.S-allies relations. In spite of the fact that Israel has been less-than-happy with its closest friend this month, the Israeli government has refused to formally respond to the allegations — what has been said has just shown how expected these revelations were. On Friday, Israeli officials told local news channels that they "did not fall of their chairs" when they first heard the news, while Olmert himself told The New York Times that his official email account "was an unimpressive target." Current Israeli Prime Minister Benjamin Netanyahu, for his part, also seemed pretty unaffected, but this could be because of his extreme precautions — according to local media, Netanyahu, who was described as "cautious and suspicious,” doesn't have a computer in his office, use email, or have a private phone. But not everyone else is so complacent about the NSA, and it seems that the time is rife for a change. Earlier this week, tech giants including Google, Apple, and Facebook grilled the President at a routine Obamacare promo event, demanding why he thought it necessary to undermine their companies, after which a federal judge indicated that the NSA’s programs were unconstitutional by nature. Most promisingly, Obama himself promised that he was looking to make changes in the NSA programs at his year-end press conference only yesterday.